Disregarding her orders, Red charges in to face the Dark Horde on her own. 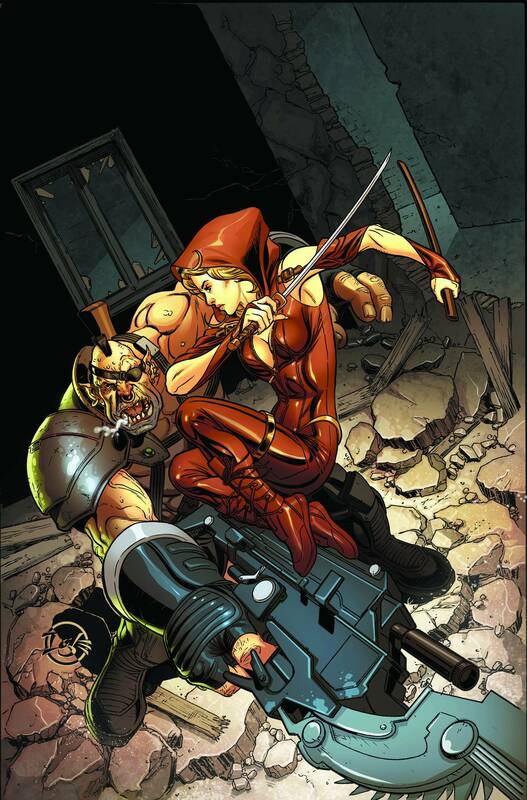 However, a simple mission quickly turns to a fight for her life when Red finds herself hopelessly outgunned. Can Red survive when the Horde rises anew, or will she fall in their shadow? Find out in this game-changing issue!